We believe your wedding cake should be as unique as you are and reflect your style and the feel of your wedding. So be it sophisticated and elegant, vintage romance or a little bit whacky, it should always be the talking point of the room. Double sided wedding cakes are becoming increasingly popular, with a traditional, stylish front and as you move around the cake the icing at the back is peeled away revealing a much more jovial, relaxed aspect to the wedding. This is often a way for the bride and groom to introduce more of their own individuality into a day that can fundamentally be quite formal, without compromising on the 'beautiful' cake that is expected. 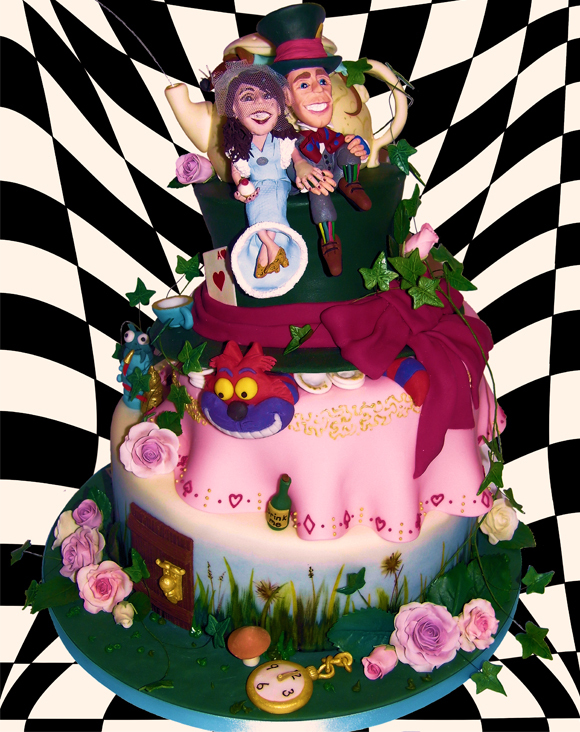 Some couples just like to go all out and get really creative with a full tiered novelty cake. The cake is often the one aspect of a wedding where this can be done without changing the fundamentals of the day. It's the fun part, the chance to express yourself and create something from scratch. We love a challenge and it's always exciting to make something different so whatever ideas you may have we would love to hear from you. 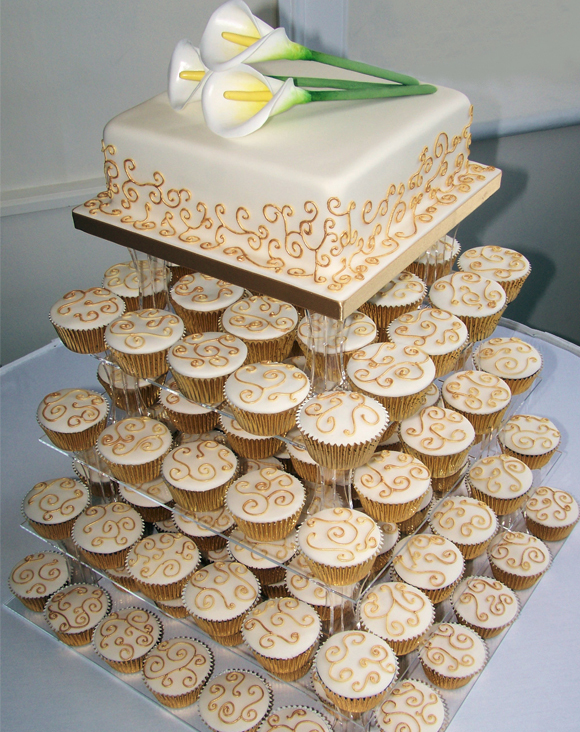 Cupcake wedding cakes arranged on a tower, with or without a top cake are a great alternative to a tiered wedding cake. They are a more light-hearted way to serve your cake and simpler too as there's no cutting involved. Beautiful lace icing and delicate sugar flowers are always a pleasure to make and so satisfying to look at which your guests will adore. We can create sugar flowers to match those in the bouquet and the table centres. We can make naked cakes to be decorated by your florist. We can match the colour of the ribbons to bridesmaids dresses, copy details on invitation or the brides dress onto the side of the cake. 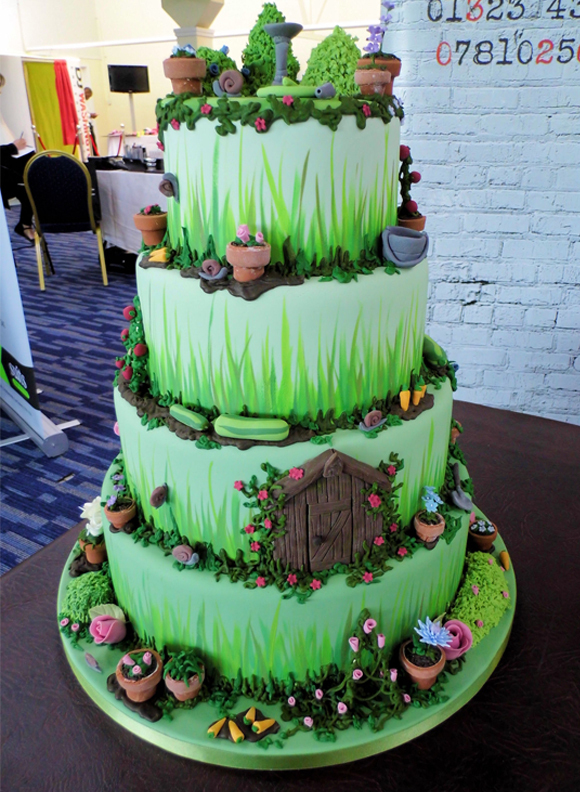 With double sided cakes and novelty cakes we can create anything that tickles your fancy. Lego men still building the cake, superheros sneaking out the back, The Hulk punching his way in, castles and dragons, builders yards, breweries, Hogwarts.... if you can think it, we can make it. 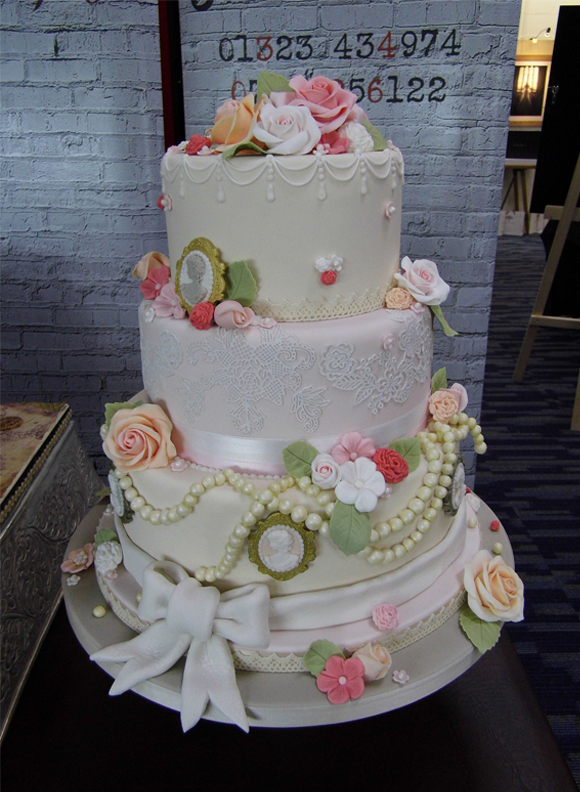 Prices of wedding cakes vary immensely, depending on size, tiers, sugar flowers, decoration and difficulty. Below are a few examples to give you an idea. 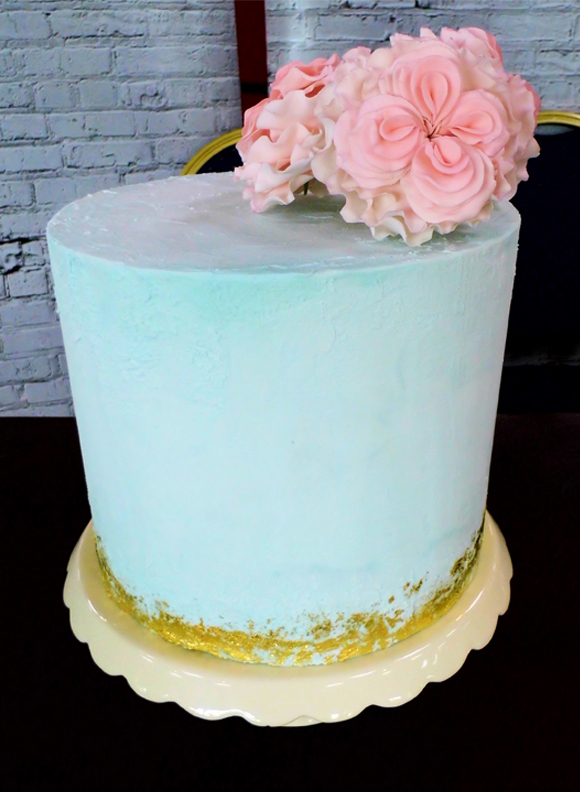 This is 4 tiers (6”, 8”, 10” and 12”) all sponge with moderately detailed design. This cake would serve 132 and cost £575. 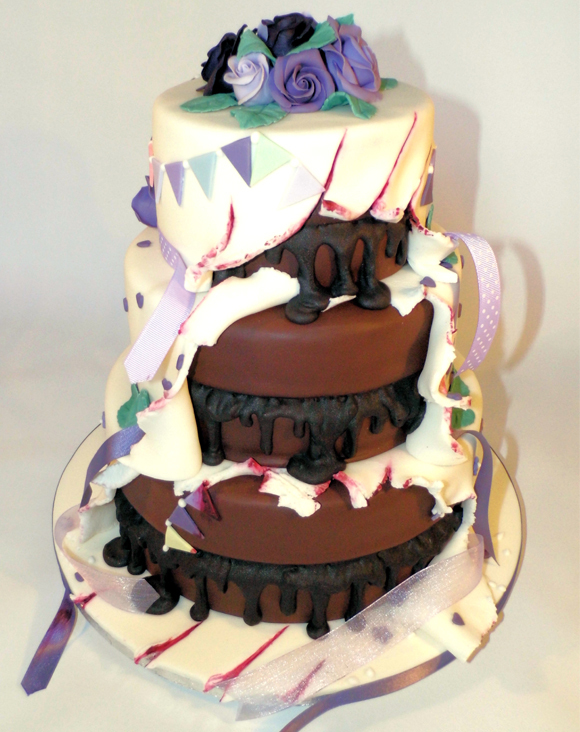 This is a 3 tier (6”, 8” and 10”) all sponge with a detailed design. This cake would serve 75 and cost £495. 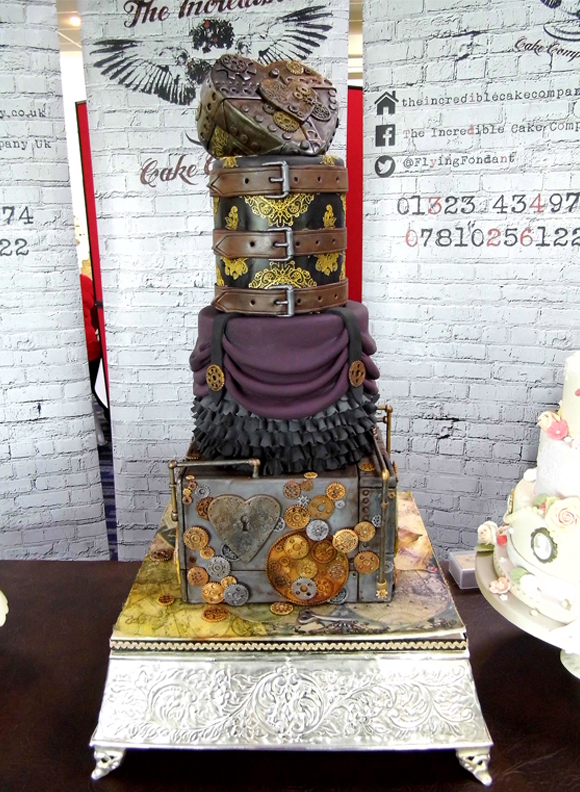 This is a 2 tier (8” and 8”) all sponge cake with gold leaf and 3 large sugar flowers. This cake would serve 50 and cost £325. This is a 7 tier (6” heart shape, 2 x 6” round, 2 x 8” round and 2 x 10” square) all sponge with a very high level of decoration. This cake would serve 180 and cost £895. Fruit cake normally should go on the bottom tier due to its weight, but sometimes exceptions can be made depending on your choice and number of other tiers. We would need to discuss this with you. We can provide extra cutting cakes if the design you like doesn't quite cover the number of guests, iced in a similar, but much simpler style to the main cake. 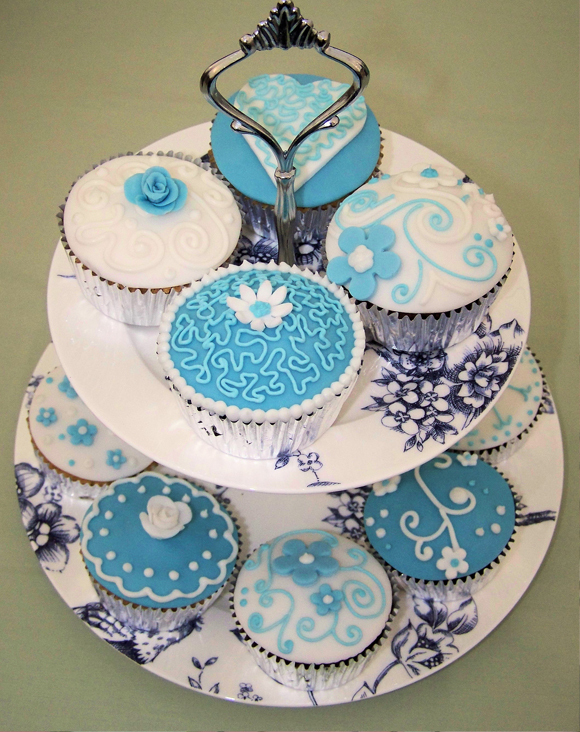 We can also make cupcakes and iced biscuits to match the main cake which can be displayed as part of the dessert or packaged as wedding favours. We will set up your wedding cake on the day of your wedding as specified by you and/your wedding planner. You are welcome to collect your cake from us, but it will then be your responsibility from the moment it leaves our care.